How much time and money are you spending on recruiting, selecting, deploying and training? How much would it cost to solve your turnover problem? How much more time would you have in a day? 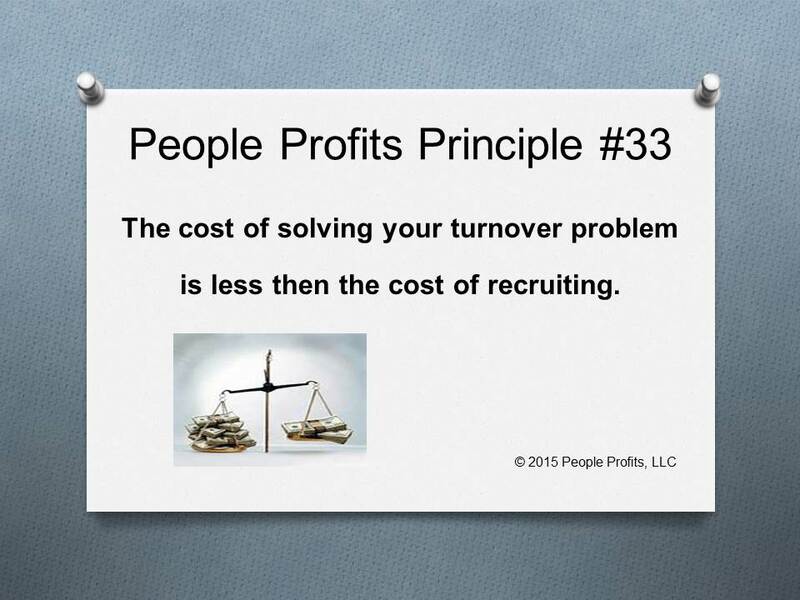 People Profits has found that the cost of solving a employee turnover problem is less then the cost of recruiting and filling a vacant position. The hard dollar cost of solving many of the employee turnover problems is not significant. Most issues are resolved by building systems that respond consistently throughout the organization to the issues that employees are communicating to upper management.